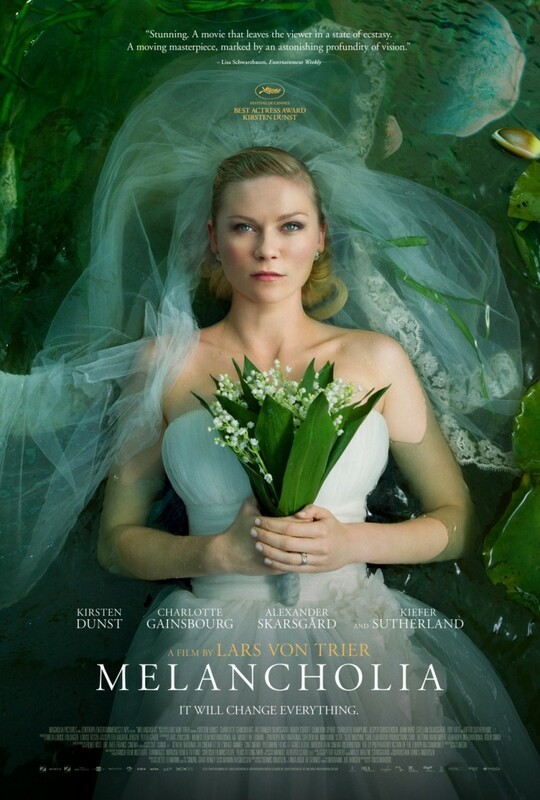 Lars Von Trier’s Melancholia, a meditation on depression and the end of the world, stars Kirsten Dunst as an emotionally troubled newlywed named Justine, whose sister Claire (Charlotte Gainsbourg) throws her a lavish wedding party. While her lack of emotional stability begins to take a toll on Justine’s new marriage as well as the party — and old wounds are exposed — Claire’s wealthy husband John (Kiefer Sutherland) also knows a great deal about a planet that is on a possible collision course with Earth, further muddying the waters. The second half of the movie focuses on Claire, who ends up taking her sister in after the marriage collapses, and also begins to fear that John is hiding apocalyptically bad news.